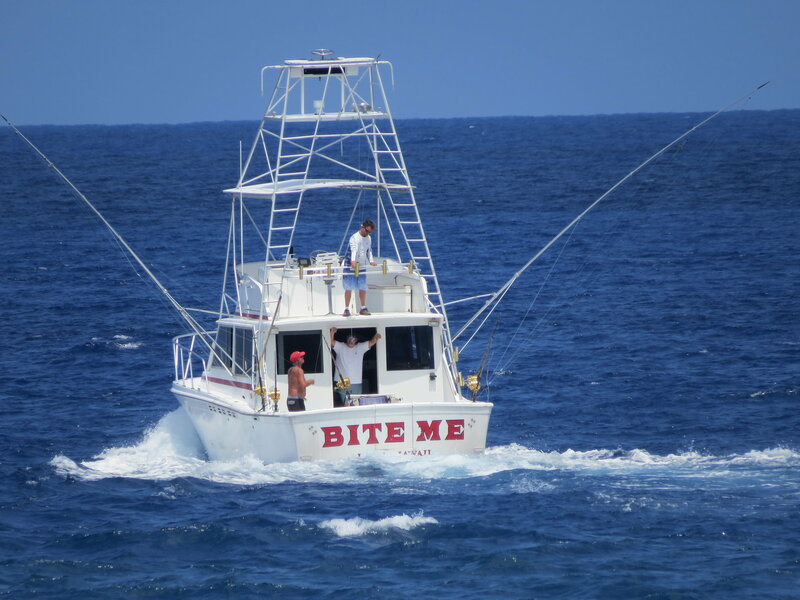 I was testing a new camera a few years ago at the Kona Marina. There's a fish on that long boat. Never seen a boat like that. First pic is 1/4 mile away. Any one from Hawaii? There’s a few guys from HI on here. I lived there for 3yrs and regret leaving. Maui is the neatest place I've ever been. All around amazing climate and feel there, unlike anywhere else. Hooper, Ben4 and mightyR like this. We used to vacation there but air fares are just too high now. 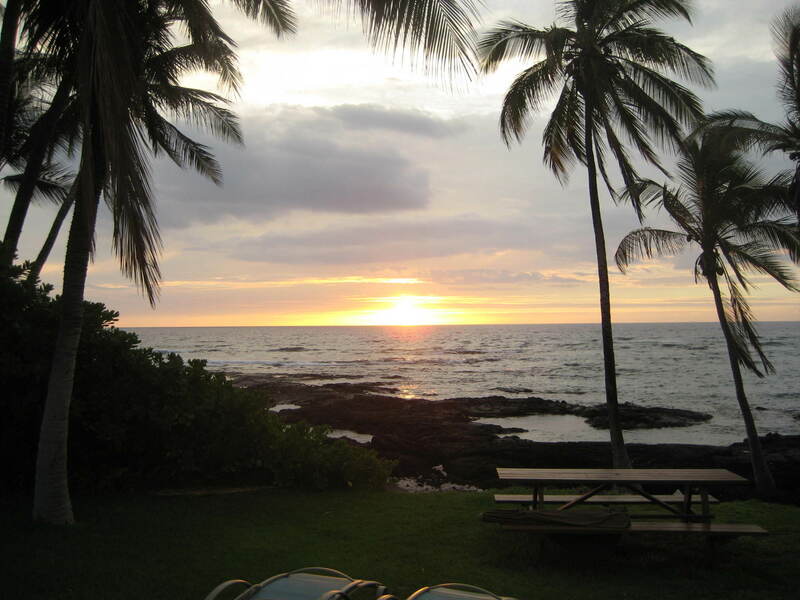 Rented a place in Puako that was about 8' above sea level and 75' from waters edge. Thought about retirement on the Big Island but too many negatives. Taxes, cost of living and medical facilities. WOW! What do you do with the fish? The Admiral and I got hitched not long ago on a beach in Maui. Incredibly beautiful place. BTW...the fish on the long boat looks like...a sword? Mud Runner, catch232, Patton222 and 1 others like this. Here she is again. I cant imagine being in that tower. Here's a bit better pic of the fish on the long boat. Our view every evening in Puako. Had 4 vacations there and then it got sold. We do miss Hawaii. SpSpent a week in Maui also spent a week on the big island (Champagne tide pools Vacation land) but that place no longer exist due to a Volcano. I will say while we are on Maui it was the picture perfect postcard image throughout our stay. The local food was also brilliant! Might be a sword, but I dont think so. Eye looks too small, bill too short, and dorsal fin looks more like a blue. 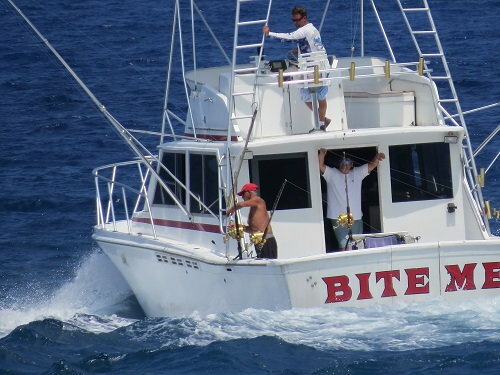 Like many other places in the world, in Hawaii there isn't the stigma of keeping and eating marlin. It is viewed no different than eating a swordfish. A lot of upscale restaurants in Hawaii serve marlin. If you see Kajiki on the menu it is blue marlin. Mekajiki is swordfish. White marlin (Nairagi) and short billed spearfish (Hebi) are often served as well. Last edited by KrazyKona; 02-21-2019 at 08:16 PM. Agree doesn't look like a swordfish. Looks like a blue. Not sure if you made it to the Big Island/Kona, to me this place was amazing, a lot better than Maui. 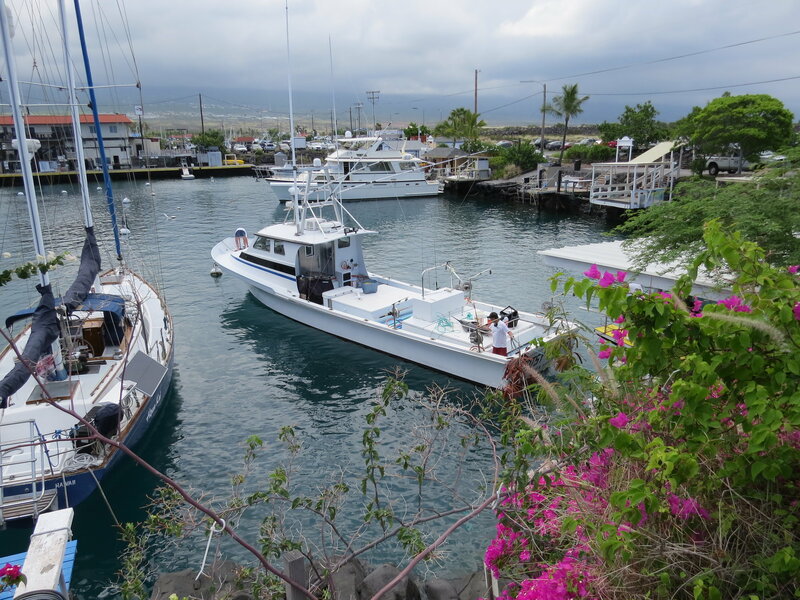 If you ever visit Maui again, go from Kahului to Lahaina taking the route on the North side of the Island. Very nice views, 10% the amount of people that do road to Hana. It can be scary at times, it’s a single lane almost all the way, honking the horn on the turns. Hooper and smccormick like this. 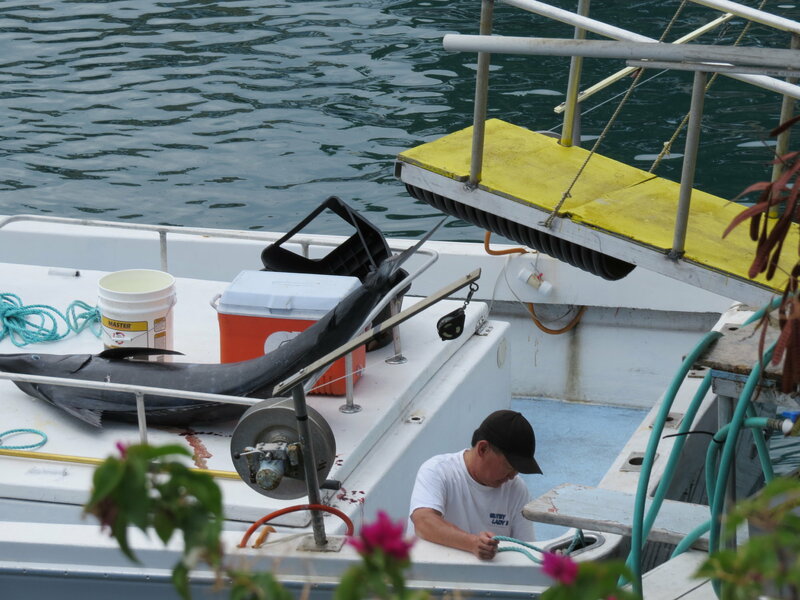 That long boat in the picture is a locally built boat, built by Force Marine in Hilo, on the other side of the island. Force marine builds an 18, a 22, a 25, 30 and a 35 plus a catamaran, that's a Force 45 in the picture I think, built a few years back. The 30 and the 35 Force boats are a stretched version of the 25, not enough beam for a boat of that length so they tend to rock badly. Force boats are made to order built for local conditions.